Burwell, Cambridgeshire. Unfortunately a rather grainy shot. This view towards Mildenhall not long before closure. 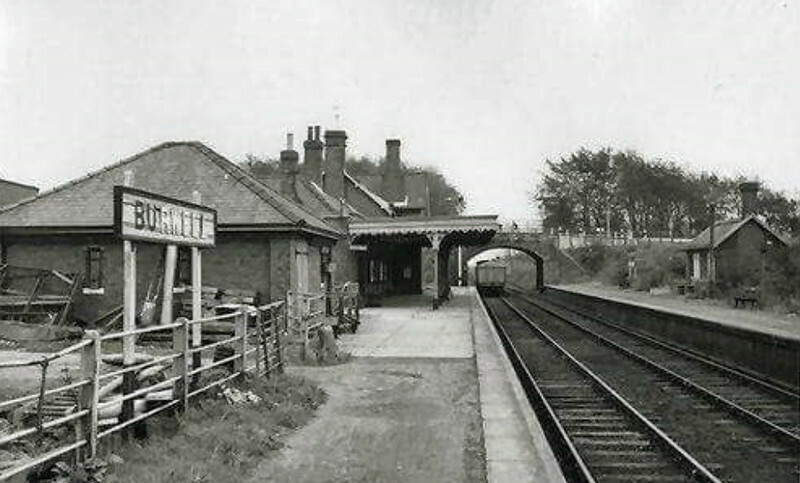 The passenger service was withdrawn on 18th June 1962 and freight on 19th April 1965. The bridge in the previous photo is clearly evident.